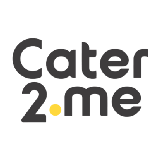 Cater2.me brings delicious meals from local chefs, restaurants, and food trucks directly to your office. We make team lunches and events effortless and yummy. This post originally appeared on the Cater2.me blog.